鍛錬 Tanren (training, forging, hardening, drilling) is a set of videos with simple repetitive training drills, do your work out Bujinkan style – SHUT UP AND TRAIN! This is the second in a series of SHUT UP AND TRAIN videos guaranteed to make you sweat. If you don’t like getting sweaty during training, then this video is not for you. This DVD is for practitioners who want to learn new training drills which might speed up their skill level if really practiced. It can also be a very good work out that will get you sweaty. Some exercises is easy and some is more difficult, some you can work out on your own and some you need a training partner. The theme is Sanshin no Kata, and Hiken/Hoken Juroppo. Watch the video to give you some ideas and then SHUT UP AND TRAIN! This is the first in a series of SHUT UP AND TRAIN videos guaranteed to make you sweat. If you don’t like getting sweaty during training, then this video is not for you. This DVD is for practitioners who want to learn new training drills which might speed up their skill level if really practiced. The theme is Kihon Happo, and many kicking techniques. Watch the video to give you some ideas and then SHUT UP AND TRAIN! The video is 54 minutes and the first section covers 20 Keri Waza (kicking techniques) from the Bujinkan Budo Taijutsu system. The other section of this video covers 11 Keri ni taisuku waza counter techniques against kicking attacks from the Ten Ryaku no Maki. The manual is in Swedish, the instructions on the DVD are in English! The Manual covers 20 basic kicking techniques, 11 counter techniques. The manual is 22 pages with 68 pictures. 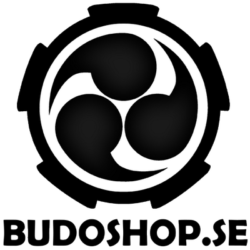 Ten Chi Jin Ryaku no Maki is the absolute foundation of Bujinkan Budo Taijutsu, unarmed fighting and self defence techniques. Kaigozan dojo and many other use these techniques as a base for ranking beginners up to 1’st degree black belt. All these techniques is demonstrated on this video 1-3 times. It is not a self study course, it should rather be seen as a reference material and a compliment to your studies with a good teacher. There is no verbal instructions or speaking on this video. So it doesn’t require that you know English or any other language. This is one of the first videos we made. It was filmed between 2002 and 2003. The movie quality is not very good. But it has been our best seller since we opened our web shop. Many people like to know the basics :-). Note: Not all teachers use this curricullum exactly for their ranking. 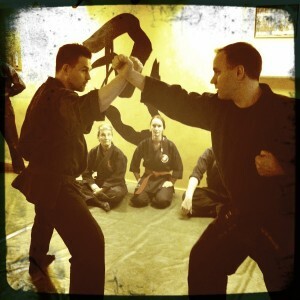 But the techniques are the most fundamental and basic techniques in the Bujinkan Dojo system. So it is worth studying anyway! – Zanto Tonko no Kata (7 methods of fleeing from the attack). Click on the button on the right side to pay and download this movie. Payment of $8.99 is through PayPal and download is done from Payloadz. You will get instructions after you pay how to download this movie. Shinken taihenjutsu – three basic evasions from sword attacks. This movie was filmed May 30’th 2009 at Kaigozan Dojo. 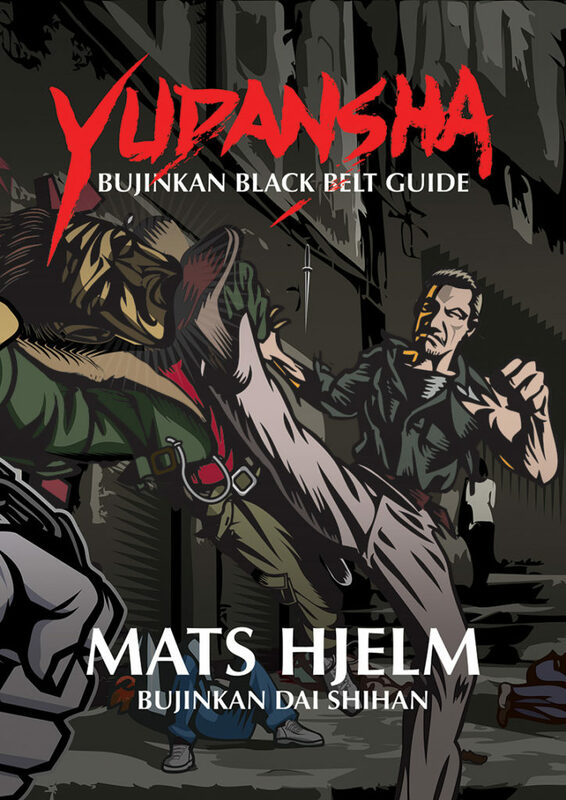 This training was a walk through of the first Taijutsu level by Mats Hjelm, Bujinkan Shihan Kugyo Happobiken. This is the basics recommended especially for beginners and students between 9 Kyu and 7 Kyu in the Bujinkan Dojo system. Note: Although the instructions is in Swedish it is very visual and obvious what to do. All techniques comes with names in the subtitles. This is a movie file optimized for iPod and iPhone and any other device that can handle standard H.264 videos. Import the file to iTunes and sync it to your iPod or iPhone. On a Windows PC you can watch it in iTunes or Quicktime player (these programs is available for free on apple.com. VLC is another good program that can play these files.